The AMAZING WORLD OF SUPERMAN Theme Park! 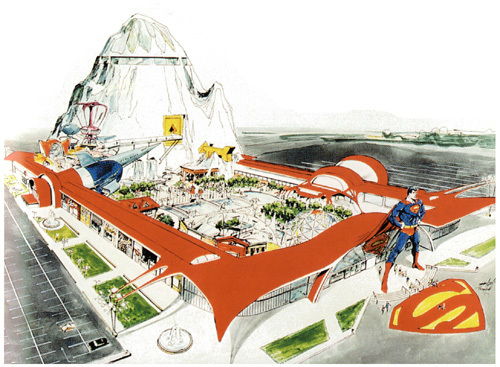 Planned for construction in Metropolis, Illinois, The Amazing World of Superman is a giant complex that will bring to life many phases of the Superman legend in rides, exhibits, and other forms of entertainment! TOUR THE REAL-WORLD THEME PARK!